“About the boy who plays the tin drum” out now! About a year ago, seven men got together to create a new record, which will be released May 25th, 2018. This album was recorded in three different places – Riga, Ikskile (Latvia) and Stockholm (Sweden), and, as expected, has three versions – Latvian (Titeld “Par to zēnu, kas sit skārda bungas”), Russian (Wonderful Day) and English (About the boy who plays the tin drum). 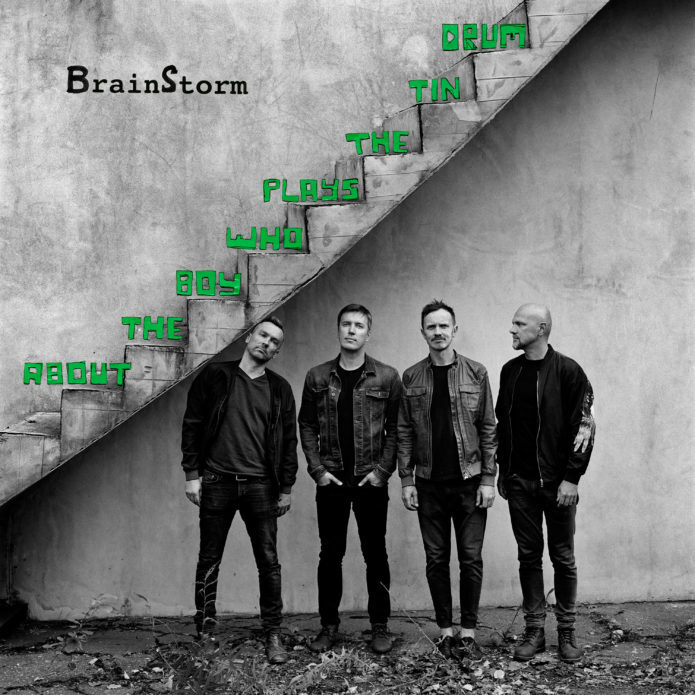 The authors of all the songs included in the album are the band “BrainStorm”, Ingars Vilums, as well as the producers of the album – Swedes Povel Olson and David Larsson. One of the characteristic advantages of the album is joy: the joy of creating songs, the joy of cooperation, the joy of singing and playing, the joy of being with friends you know from kindergarten. The design of the album and photographs are by the famous Dutch photographer Anton Corbin and he is also responsible for the cover artwork. The album “About the boy who plays the tin drum” is available digitally from May 25th. This summer the band will go on tour in Latvia. Concerts will be held in five cities – Jelgava, Valmiera, Ventspils, Daugavpils and Riga. On October 20th“BrainStorm” will be playing a solo show in Vilnius, “Compensa Concert Hall” and on 10thof November in Tallinn Rock Café.